Accident claim settlement shouldn’t be a difficult task. Sadly, it has become a difficult thing to achieve due to laxity and incompetence of some legal outfits. The worst thing is that these law firms do not show concern for the plight of accident victims. Thankfully, Rawa law group was set up to correct this precedence and bring a smile to the faces of car and motorcycle accident victims. Victims of car and motorcycle crashes go through a lot of agonies. They are usually plagued and hunted by the memories of this unfortunate event. They endure a lot of pain and lose a part of their body. These people are usually not happy and they need to be encouraged to believe in themselves. Throughout the recovery period, so much money is spent in acquiring drugs and paying for other medical bills. Family and friends are not left out as they also feel a bit of the heat too. Therefore, it is only natural and proper for accident victims to get compensation for every loss they have incurred. At Rawa law group, our lawyers are experts and they know their onions. 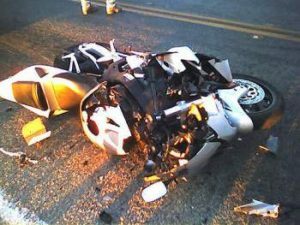 Every motorcycle accident attorney under our auspices offers ethical legal counsel with no hidden charges. Furthermore, they are available to make home and hospital visit depending on your preference. Appointments can also be booked based on your own schedule and availability and we have the responsibility of informing you of everything about the case from start to finish. This means that our method of operation is flexible and transparent. We are a superior five-star law firm with over 55 years of combined legal experience. One would expect that securing our services would be at a high cost but that is not the case. Based on industry standard, our rates are very affordable. In fact, you do not have to spend a penny until we win your case. Unlike other law firms, we do not charge our clients for evaluation of cases.